The Nettuno is one of the best residence resort accommodation of Sorrento and Amalfi coast. 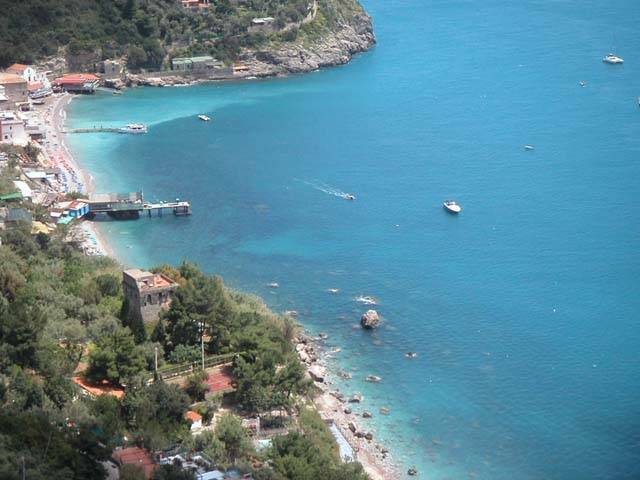 Located in the enchanting bay of Marina del Cantone, a small paradise of the nature in the heart of the natural park Punta Campanella. Easy connection with Sorrento by a local bus (Sita Bus), starting every hour from the Circumvesuviana train station of Sorrento (Sorrento is connected by a train every 30 minutes from Naples central station). THE COST OF THE TICKET IS ONLY EURO 1, 00 PER PERSON 1 WAY!!! All the accomodations ( bungalows-residence, apartments, mobil homes and the apartments of Turbolo Tower 1567) are furnished with fully equiped kitchen and private bathroom/cabine shower, outdoor equiped terracce the mostly with a wonderful view on the bay. Bed linen, towels, Blankets and pillows are included in the price. The soap to clean the kitchen and the accomodations, are not including in the prices. The air condition (and in the winter time the heating) is not including in the prices. That cost per day is Euro 10, 00 per accomodation, to pay extra. 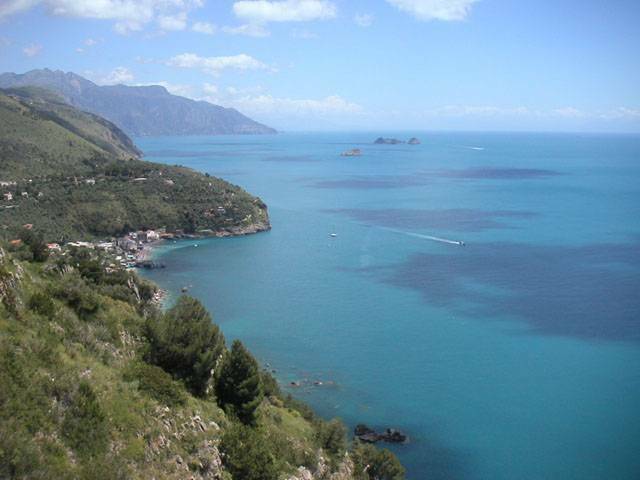 It is a paradise of the nature, just at the beginning of the Amalfi Coast. Green and quiet surroundings makes of this place the perfect for relaxing holiday, with sea, excursions, good foods and wonderful atmosphere. 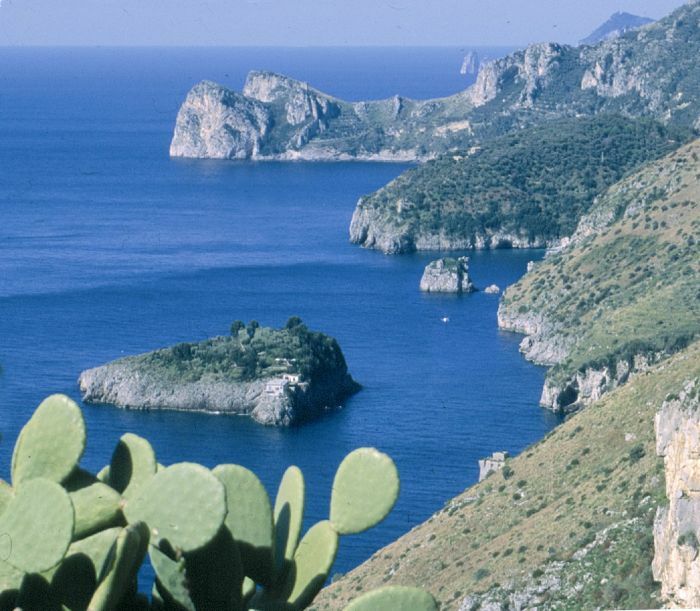 WONDERFUL EXCURSIONS BY BOAT DIRECTLY FROM THE RESORT to Capri, Amalfi, Positano, Li Galli islands & the bays of the natural park. DIVING CENTER WITH INTERNATIONAL DIVING SCHOOL. DIVE & SNORKELING EXCURSIONS STARTING FROM THE BAY. 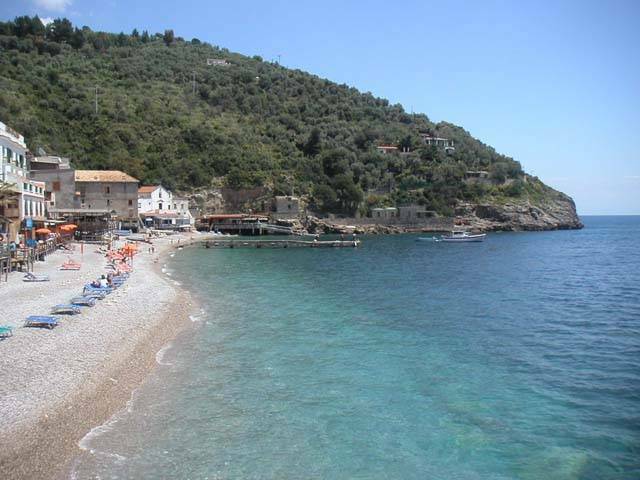 CAMPING GROUND DIRECTLY BY THE SEA, WITH PLACES FOR CARAVAN, CAMPERS AND TENTS. THE TENTS PLACES ARE ONLY 5 METRES FROM THE SEA. Wonderful places in the surroundings to trekking and hiking. DIRECTLY ON THE SPOT YOU WILL FIND: rent car and motorbike, rent boats, taxi and transfer from and to Naples & Rome airport and train station. Minibus. 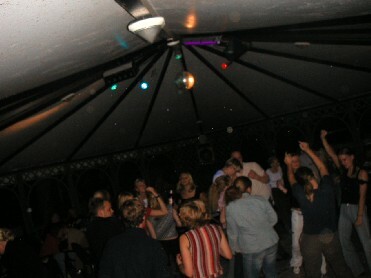 Quite every evening disco, piano bar, disco pub, grill fish party, pizza party, pasta party and many other nice things. 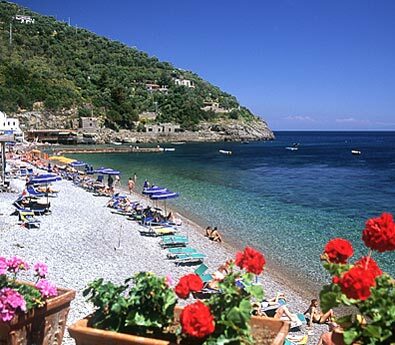 Excursions to Capri and Amalfi coast (Positano and Amalfi), directly from the resort and with our safe and nice own boats. Excursions with snorkeling to the bay of Ieranto and the island Li Galli, the best of the natural park. Bungalow-residence type C with double bed in a room + living room with fully fitted kitchen and refrigerator and castle bed (bunk bed) + bathroom with cabine shower + outdoor equiped terrace. Bungalow-residence type D standard with double separated bedrooms + living room with fully fitted kitchen and refrigerator + bathroom with cabine shower + outdoor equiped terrace. Bungalow-residence type D superior with double separated bedrooms + living room with fully fitted kitchen and refrigerator + bathroom with cabine shower + outdoor equiped terrace. With air condition, tv, hair dry. Bungalow-residence type D SPECIAL superior with double separated bedrooms + living room with fully fitted kitchen and refrigerator + 2 bathrooms with cabine shower + outdoor equiped terrace. With air condition, tv, hair dry. For no show 1 night will be charged from the credit card details. Take the Circumvesuviana train, starting every 30 minutes from Naples central station, with direction Sorrento (the last stop). In Sorrento, every hour, start a bus (Sita) with direction Nerano-Marina del Cantone. The bus have a stop just at the enter of the Nettuno. The cost of the ticket from Sorrento to Nettuno resort, is only Euro 1, 00 per person per way. From Napoli, main road A3, out to Castellamare di Stabia. Then Meta di Sorrento, after 1 Km direction Positano! To the double way, on the right with direction S. Agata dei due Golfi Nerano Marina del Cantone! we arrenge pick up services from airport with very cheap rates. Other way: from Naples airport, take a bus to the train central station and then Take the Circumvesuviana train, starting every 30 minutes from Naples central train station, with direction Sorrento (the last stop). In Sorrento, every hour, start a bus (Sita) with direction Nerano-Marina del Cantone. The bus have a stop just at the enter of the Nettuno.